Did you know that colors play a big role in our mood and psyche? That’s right! 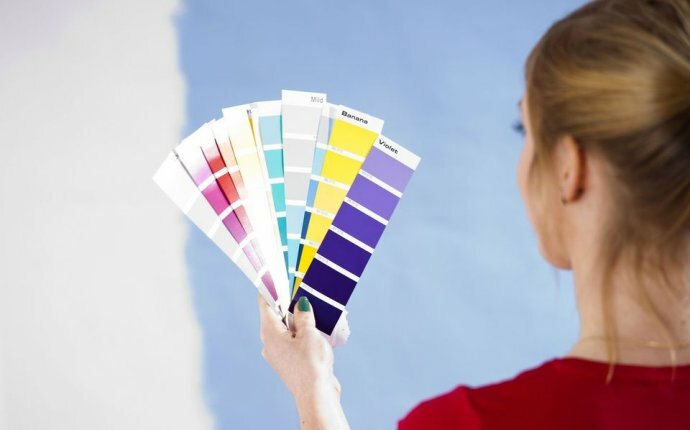 Having the right colors around you––whether it’s in your home, office, patio, bedroom or wardrobe––can make a huge difference. Feng shui takes the use of color to the next level, where each color brings the desired feng shui energies to create harmony and balance. So how do you feng shui your surroundings to create the ideal atmosphere you want? We’ve created a simple color wheel guide using five basic colors to help you––whether you’re orienting the decor in your home, organizing your workspace, or punching up your wardrobe. Yellow and Red: Adding earth shades like yellows to firey red tones is a good way to calm the intense energies that red gives off. Best rooms: Living rooms, dens or kitchens. Green and Blue: Both calming colors with shades of wood and water, these two create a lively space without the energy of fire red. Best rooms: bedroom, baby’s room or bathroom. Blue and Purple: This combination of earth and water tones brings calmness and relaxation to a room and represents prosperity and wisdom. Best rooms: parlor, workspace or den. What to wear at work: Black, with optional darker shades. Why? While black is the most common go-to color choice for the workplace, there is actually a reason for it. Black symbolizes career and life path which are positive qualities when in a meeting. If you’re not a fan of all black, pair it with purple shades, which signifies wisdom and abundance. What to wear during workouts: Fire tones like red, orange and yellow. Why? Vibrant tones give off stimulating energies and keep momentum and inspiration up. How to decorate your workspace: Blue and green earth tones. Why? Strong, calming colors like these manifest feelings of creativity, strength and self-cultivation. What to wear on a date: Red, white, or pink. Why? Wearing pops of color radiate feelings of marriage, love and integrity in romantic situations. Let’s face it, it can be hard to find time between busy work schedules, family time and holidays to feng shui. So if a makeover isn’t in your near future, try accenting your home or workspace with a colorful, fresh bouquet instead––it’s a small scale fix that can harmonize in big ways.